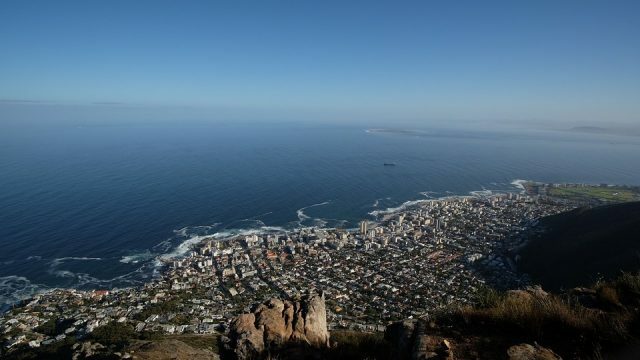 Lovely Beaches to Lively History: What Makes Sea Point Such an Interesting Travel Location? When it comes to relaxing beaches and thought-provoking historical sites, lots of vacation destinations have one or the other, but Cape Town’s Sea Point is one of the few locations in the world that has both. That makeup means the Mother City is the ideal place to try something new, no matter what your fancy. The Marriott Protea Cape Town Sea Point puts you near the center of everything. The hotel has extremely good Wifi coverage that’s also free, it’s within walking distance of both many beaches as well as historical sites, and it has a very casual and relaxed ambiance. Cape Town has some of the best and most secluded beaches in the world. There are miles and miles of coastline along two oceans, which means that each beach is a little different from the other ones, so you can choose the one(s) that suit(s) your style. White sandy Clifton Beach is one of the closest ones to the city’s center. Largely known as the playground of the beautiful people, it’s a great place to sunbathe, people watch, and be seen. Summer nights, Clifton Beach is also a great place for picnics. However, as the Atlantic is very cold at this location, if you want to swim, you’ll want to find another beach. Nearby Camps Bay may be the most family-friendly Cape Town beach. There are lots of activities, as well as a very good panoramic view of the towering Twelve Apostles mountain range. When the wanderlust hits, there are a number of bustling shops and cafes within easy walking distance, and the quick and friendly service gets you back to the beach in a hurry. Many of the locals are especially fond of Llandudno Beach. It’s a bit more secluded than most, which adds to its charm. SInce it’s something of a neighborhood beach, it’s a great place for hanging out during the day and picnics once the sun goes down. The water is bracing but not ice cold, so there are opportunities for swimming, surfing, body boarding, and more. Like many other cities around the world, many of Cape Town’s people did not arrive voluntarily. But no matter their stories, they all contributed to a very rich cultural history that’s a lot of fun to explore. It took the Dutch East India Company over a decade to build the Castle of Good Hope, which was completed in 1679. Today, it’s the oldest structure in the region. So, it gives visitors an excellent glimpse as to what life was like back in the day, and there are also more than a few ghost stories about the building. Originally, the brightly-colored homes in Bo-Kaap were slave quarters. Today, they offer insight into the area’s rich but often overlooked Muslim heritage, and they are also the ultimate photo op. French Huguenots established Franschoek as they fled religious persecution back home. Now, you can spend some time among its misty mountains and rich wineries. Start researching your vacation today and see for yourself what Cape Town has to offer.